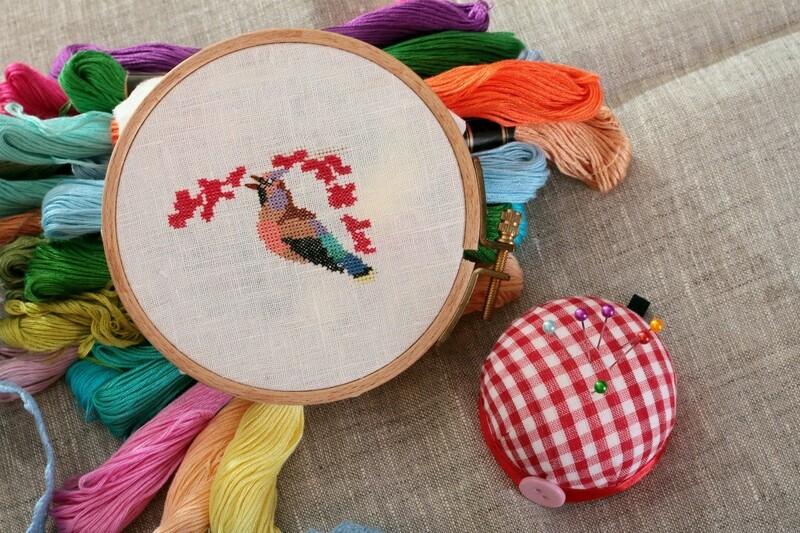 Cross stitch is a popular form of embroidery that often incorporates text and images into the overall pattern that is created using small cross stitches. 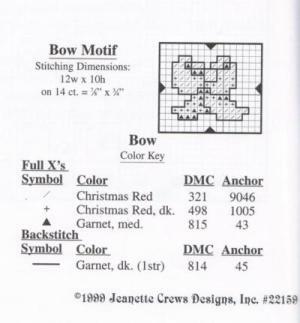 This is a guide about finding cross stitch patterns. I am looking for a cross stitch verse, that starts with the line 'All to myself I think of you, think of the things we used to do...' Can anybody help me find the rest? Think of each happy yesterday. Think of the things we used to do. All to myself I think of you. Think of the things we used to say. Sometimes I sigh, sometimes I smile. I am looking for a pattern of a horse and foal in counted cross stitch, preferably 10x10 minimum size. I would consider a kit, but prefer just the pattern. 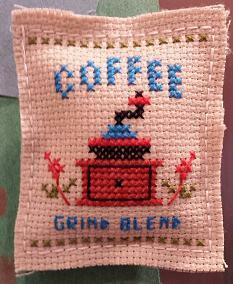 I am looking for a cross stitch pattern of a teacup. I would really appreciate your help. I'm not sure if there's a teacup pattern at this site....but all of the patterns are free and they've also got other links for more free cross stitch patterns. Hope you find one! You might try this website. Hundreds of patterns all free. You have to register but there are no fees. Free patterns for Knitting, Crochet, Quilting and more, just for signing up. I don't have a cross-stitch pattern for you, but for teacup lovers, there's a great knitting pattern for actual teacups and saucers in "Unexpected Knitting," a beautiful book by Debbie New, Schoolhouse Press, Pittsville, WI, 2003. Her book is filled with new, very creative knitting techniques and patterns. www.DMC-USA.com has free patterns. There is one that is of three teacups but you could just seperate and use the one you want. Why not make your own pattern? One method I can think of would be to take a photo and get it into the computer. Then reduce the size so that the pixels become big compared to the whole picture (just like the boxes on a cross-stitch pattern). and reduce the number of colours to a more manageable number (one that you can match with yarn that you already own). Then you may need to remove some uneven bits and just generally smooth the whole thing out a bit. Then you could combine it with a border from some other pattern (or make your own). I am trying to find the old cross stitch pattern for this design I did 20+ years ago? Anyone know where I might find one? I am looking for a cross stitch pattern for the saying: "to you they are animals." or "If you don't want their hair on your clothes, stay off the furniture." I hope someone can help me out. Thanks. Love as though you have never been hurt. Looking for the pattern kit or pattern of "Babies Don't Keep". Help. I'm looking for a cross stitch pattern for a newborn baby girl. I'd like to have bears, balloons, or any cute baby design for the top of the picture. I'd like to stitch her name, birthdate, weight, and length under the design. Here's a nice looking site that has quite a few things on it. These came out of "Basic Alphabets" by Alma Lynne. I used a 40% coupon at Michael's for the book. You can also go to your local library...I'm sure they will have several books to get ideas from. God Bless. Question: Cross Stitch Pattern: "Having children is like being pecked to death by a duck"
Has anyone seen a cross stitch pattern or print anywhere with the saying "Having children is like being pecked to death by a duck"? A friend and I saw a print at a craft fair a year or so ago and we would like to see if we can get them. I really don't care if they are cross stitch or whatever. I just really would like to get the saying in print. I would like it to be sort of primitive/folk art looking. Thank you. Could you just print the saying off the computer? 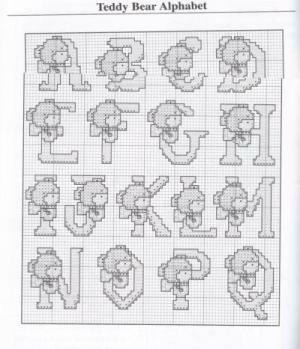 I have seen cross stitch books with various kinds of alphabets in them, so if you can't find the pattern you want, you might consider making your own. Do you have a pattern for the poem "I'm rocking my baby"? And see a Mother who had time to play! So quiet now, cobwebs; dust go to sleep. Leisure Arts put out a leaflet with a cross stitch sampler with this poem on it. It has mother in a rocking chair rocking a baby in the lower left corner. Check their website or email me, I will try and dig it up from my stash for u.
I completed this particular kit when my nephew was born. That was 33 years ago. He has just recently become a new daddy and I would really appreciate locating this pattern so that I can make another one for his precious new daughter. Can anyone help me? Does anyone have the state counted cross stitch patterns for Virginia and Maryland which were designed by Betty Haddad Shelton and distributed by Janlynn? I have made 6 of them and another military move is on the horizon. I'm looking for a cross-stitch pattern with an exasperated looking woman, a fairy godmother, and the saying "I've had it with reality, where's my fairy godmother?" Did you try ebay yet? It'd be a start. 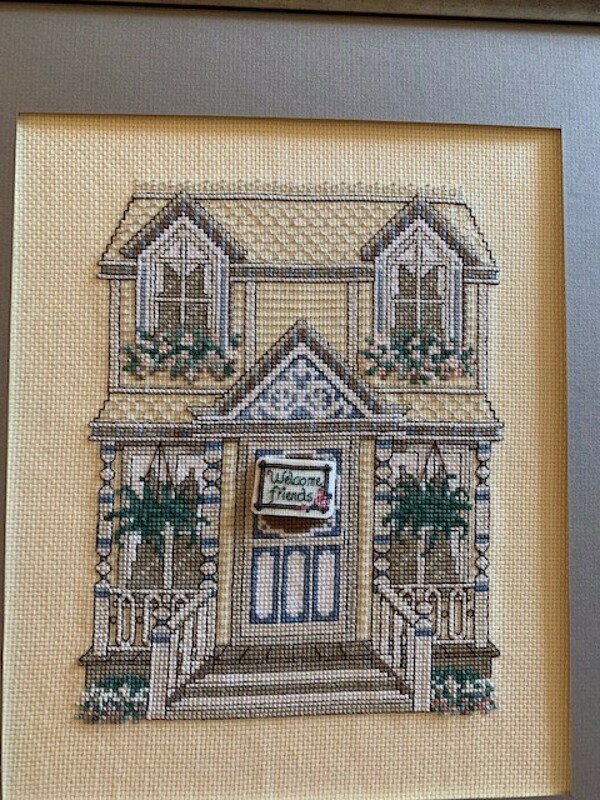 I know that many cross stitch patterns are auctioned off. Try the website, 123stitch.com. It has a forum and the people there may be able to help you. It is my favorite cross stich site! I am looking for a "Now I lay me down to sleep" children's prayer cross stitch kit that my mother made me when I was born. It was either bought at Leewards or Mary Maxim. It is pink with farm animals. It must be the stamped kind, as I cannot complete the counted kind. It is about 8x10. Please help. one place to check that also has other good links is http://www.free  ernsonline.com/. it's pretty hard to find the stamped ones these days, but you could get someone to transfer the design to the fabric with a thin marker for you. good luck! I'm looking for a counted cross stitch pattern of anything to do with the sport of bowling, pins, ball, etc. Does anyone know where I can find one? I would like to get a downloaded one online if possible. Thank you. I have a ditto of some cross stitch patterns from several years ago. These are small, maybe 30/40 patterns for "feed bags" with flour, salt, sugar, coffee, horse feed on them. I only have 7 of the patterns, and am trying to figure out where the patterns came from. Do these sound familiar to anyone? I'm looking for the pattern "The Old Well of UNC. Does anyone know who the designer of a stamped cross stitch pattern kit called, " I Hope My Children Look Back on Today" was? I have been trying to find this out for awhile with no luck. I'm looking for a cross-stitch pattern of a Swedish hymn "Children of the Heavenly Father" in Swedish with the musical notes. Any suggestions? I am looking for several cross stitch school bus patterns. I hope you can help. Thanks. 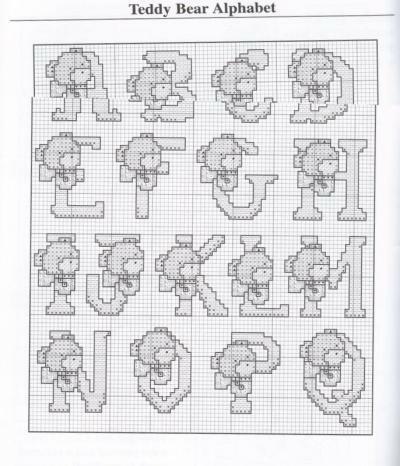 I would like to find Anne Fitzgerald's "Dear God Kids" cross-stitch pattern book #5086. I have some of the patterns, but not all of them. Is there anyway I can purchase this book again? Thank you. I'm looking for a cross stitch pattern that has a wine theme (like a glass of wine with some grapes and/or cheese and crackers, etc. next to the glass of wine. Thanks. 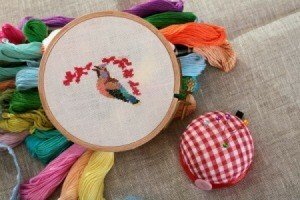 I want to buy a program that will enable me to design my own cross-stitch patterns. I wonder if anyone out there has tried any of those available, and if they have any advice for me. Many thanks. This isn't an answer about computer software for cross stitch, but a helpful suggestion for all you "Cross-Stitchers" out there. When looking for computer software, books or patterns for cross stitch don't only search in the "Cross stitch" area also look at patterns made for Bead Loom's, Rug Hooking & Fair Isle style of Knitting Designs & also designs created for knitting machines too! (You can NOT use designs for the "Peyote Stitch" style of beading as these grids are stacked like "Bricks") When I used to make things on a bead loom, I would sometimes get my patterns from Cross Stitch books. Of course you won't have the exact number of the floss color needed, but it doesn't take a rocket scientist to figure out the difference between dark, medium & light green or other colors in a pattern. So live a little & let your imagination run wild! Cross Stitch Pattern: "Cleaning and Scrubbing Can Wait Til Tomorrow"